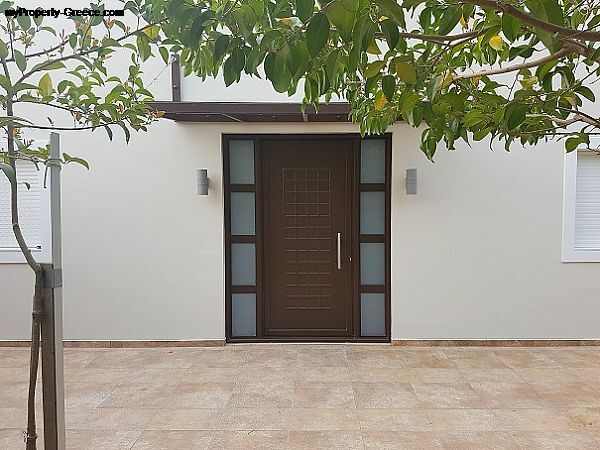 It has 4 bedrooms (2 on the floor and 2 on the ground floor), 2 bathrooms, living room, separate kitchen, 2 storage rooms in the house and 2 storage spaces outside 20 sqm, large verandas, two outdoor covered parking places, remote controlled garage door and 720 sqm garden. It has an energy fireplace, a 6 KVA oil generator, a barbeque with storage space and an electrically-powered grille, a very efficient oil boiler, a storage room for garden tools and a storage room for firewood. Disclaimer: Property Reference: 1231-102988 This listing is a property advertisement. myProperty-Greece.com makes no warranty as to the accuracy or completeness of the advertisement, or any associated or linked information. This property advertisement does not constitute property particulars.